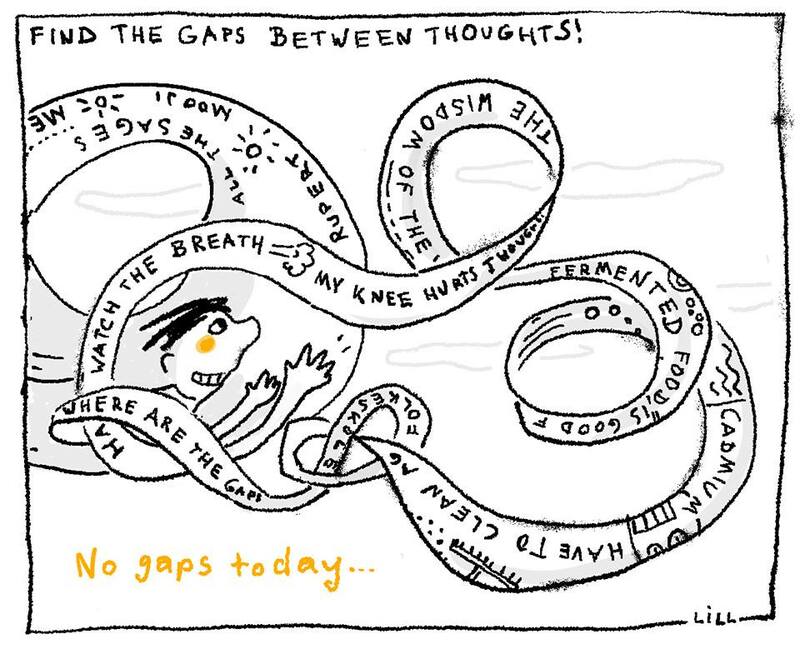 what a lovely article about thoughts and the gaps! You have a wonderful humour. I laughed out loud when reading about how you sometimes want to choke that voice chattering away all the time. That is so much how I feel sometimes, even knowing there is no me. 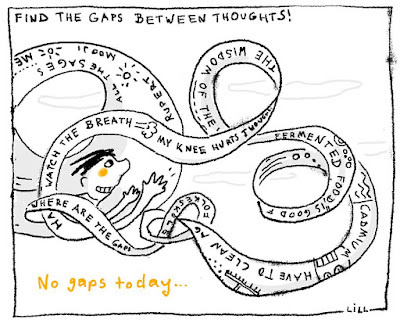 Recently I started playing with "slipping into" these gaps between thoughts. In me quite a blissful feeling arises when it happens. No idea, whether it's the way to go. But it certainly is addictive :-). I remember Krishnamurti has somewhere mentioned this "space between two thoughts" thing, and, inspired by him, I used to be very much into it, trying to grasp it. After the long 'practice' of doing it, what I ended up saying was ... "WHO cares?" space in it. That was the end of space-finding exercise for me. That must have been J. Krishnamurti. U.G. would have laughed at the whole endeavor, and actually he was my first introduction to looking at thought in a new way. So glad I found him. Any recommendation for U.G. 's writings?